The Viaduct is a block added by the Thermal Dynamics mod. 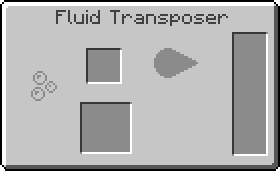 Viaduct transport players like objects through a vacuum tube. Right-clicking on a viaduct with a Buildcraft compatible wrench creates an opening on that side. Right-clicking on the open viaduct opens the viaduct GUI: a list of all the openings that are connected by viaduct or long-range and linking viaduct. The opening whose GUI is currently open can be renamed and can have an icon assigned to it. Clicking on another opening in the GUI places the player in the duct head-first and they travel to the selected opening at a rate of 10 meters per second (1.8 times as fast as sprinting, and 0.9 times as fast as flying) through the shortest physical path. There are no calculates for different speeds between ducts, if the shortest path takes longer to travel that will still be the path taken. 'Right clicking' with a Crescent Hammer or any Wrench opens or closes the duct. This page was last modified on 22 December 2016, at 20:44.